Just before Christmas, I met Sharmaine online through a blogger I’ve known for some time now because she had helped get a mom of five off the streets and into a hotel. Sharmaine knew another blogger who was involved in the Babblewhack-A-Thon group that does fundraisers. They immediately did two fundraisers for the family and I’m raising more money for them today offering marketing deals. Through Sharmaine, I found out about a Telehealth service called Webdocs Network that has really helped her with her own health issues. I researched this company because a good friend of mine is 86 and has trouble getting to the doctor’s office. For a monthly fee of $19.95 per person, you have immediate access to a doctor via computer, tablet or phone. There is no co-pay and no per call charge. Their doctors are U.S. board certified. They can write prescriptions and call them in to your local pharmacy of choice. When yours is closed, you can ask them to call the closest all night pharmacy. every month because they don’t have health insurance. Every person I know needs access to medical care that they can afford. Many do without or only go to emergency rooms if they feel like they may die. 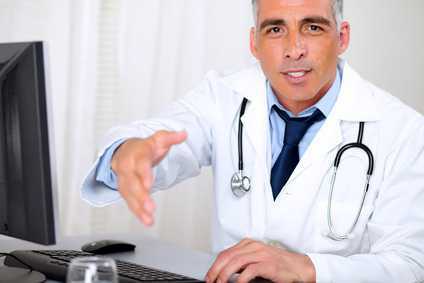 This is an even better solution than actually having a family doctor because you can simply use your phone or their Web site and speak to a doctor right away who can order tests and write prescriptions. My best friend is almost 87 and has trouble getting into her husband’s vehicle. She can not easily get to the doctor’s office any more, so I’m sharing this option with her. Since she does not use the Internet, I can sign her up on my own PC and then she can just use her telephone when she needs her medications renewed or has a question or an emergency. I will be relieved that she can now get immediate assistance over the phone! I am not generally a fan of MLMs because as I have written before, most people can not make money promoting an MLM no matter how hard they work. But for this service I’m going to make an exception because who would not want immediate unlimited access to a doctor for $19.95 per month per person? If you refer three people the service is free as long as you have three who stay active. That means my friend could refer her husband and two grown children and then she would be covered for free and her husband would pay $19.95. That would save them a lot of money each month and give them peace of mind. To sign up for the telehealth service go to this Affordable Health Care Link. Members receive a discount RX card and they recommend you always ask your pharmacist whether your existing discounts or this new card give you the best price. While I do not personally believe in using prescriptions, many people do and that is why I’m sharing this. They also have a business opportunity that those interested in making money offering this service can go to this Webdocs page. I personally know Sharmaine and that is her testimonial at the top of the WDN Pro Team tab. She has used the service herself and answered a lot of questions for me, because I always check something out thoroughly before I consider using or recommending it. If I was not as sure as is possible that this was a worthwhile way to get medical coverage, I would definitely never recommend it to my friends who are on a fixed income. If you have ever had pain or a sick child in the middle of the night and wished there was someone you could call then this solution is for you. Unfortunately, they currently only offer this health care plan in the United States, but eventually they do have plans to provide it in other countries so you may want to check with them off and on if you aren’t in the U.S.
Great review Gail. I have known Sharmaine for 5 yrs and she is alway helping people. Webdoc’s Network is a great service. Thanks for taking the time to comment, Jose. I’m sharing this with friends and family who need it. Because I personally know Sharmaine and she answered all my questions I feel this is a service they all need to know about and use – especially my elderly friends on fixed incomes who have trouble getting around.